March 20—The March 5-16 annual session of the National People’s Congress (NPC), China’s legislature, met at a most crucial moment in world history, as the failed trans-Atlantic system careened towards a near-term all-out economic collapse, while the flag of world leadership has been earned and won by a Eurasia-centered combination, spreading outwards from the China-Russia alliance, to India and the BRICS (Brazil-Russia-India-China-South Africa) nations and the other powers of Eurasia. But it should also be noted here that the level of China’s leading achievements would have been impossible but for its unique alliance with the Russia of master-strategist Vladimir Putin, a China-Russia alliance whose closeness is unprecedented in history, but which also includes India in the “strategic triangle” of the RIC, which was the original seed of the BRICS. China’s legislature reaffirmed its commitment to linking up the world—One Belt, One Road—with advanced infrastructure in March. Here construction equipment of China Railway Eryuan Engineering Group, a subsidiary of China Railway Group Limited. The subsidiary has won part of the Moscow-Kazan high-speed railroad construction project, in partnership with two Russian companies. The NPC committed itself to faster advance in science, led by space exploration, and to a deepening of the New Silk Road through “industrial capacity-sharing.” As we will describe below, this means rapidly increasing the scientific-technological level of industry in China, while simultaneously using the achievements of Chinese science and technology to plant advanced basic industry in developing countries,— in particular, to bring to China’s “One Belt, One Road” partners, the industries needed for their full participation in this multi-faceted historic “Grand Design” project. In response to the drop in Chinese exports to the deathly ill economies of the United States and Europe, China has chosen to upgrade its industries technologically, while using its machine-tool and allied upper-end capabilities to bring heavy industry to its Eurasian partners. Contrast the thinking behind this, with the mentality which shut down the auto industry and almost all industrial production in the American Midwest, to be replaced by its present industries of heroin addiction and suicide. The Chinese government also reiterated to the NPC that “the top priority of the financial sector is to support the development of the real economy,” as Prime Minister Li Keqiang said. Regulations are being introduced to be sure it does so. One begins to see why the Chinese people are boundlessly optimistic when compared with the slaves of the City of London, Wall Street, and Brussels. The present terminal collapse of the U.S. and European markets has taken its toll on the Chinese export-industry, which had become, by default, the manufacturing center of the world economy. But rather than emulate the deadheaded leaders of Wall Street, China’s leaders have instead hastened their preparations for the next planned upward “leap” in development, aimed at increasing the productive powers of their labor for producing more high-value products, and moving forward with innovation and development to create new industries alongside the down-sized traditional industries. The other part of their plan is “industrial capacity-sharing” to develop heavy industry among China’s partners of the “One Belt, One Road.” All this will be a formidable task, but the NPC has laid out a blueprint for the way forward. This year’s session is particularly important, in that it it is also the year in which the 13th 5-year plan has been introduced. As part of China’s shift to knowledge intensive industries, it will continue to expand high-speed rail construction, said Premier Li Keqiang at the NPC, eventually linking 80% of China’s cities with high-speed rail. 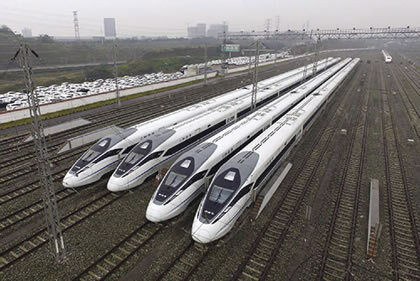 Here four CRH380D high-speed trains, which have a maximum speed of 380 km/hr. The key word in the new plan is “innovation.” In the Government Work Report presented to NPC delegates on the first day of the session on March 5, Premier Li Keqiang used the word “innovation” 61 times, underlining its importance for the further development of the Chinese economy. The country would move from being a “trader of quantity” into a “trader of quality,” Li said, indicating that they would transition from the more labor-intensive to more knowledge-intensive industries. There would also be a push to advance those industries in which China has already gained some international prominence, in particular, in high-speed rail construction. China, Li said, intends to build 8,000 kilometers of rail this year. “We should also expand major infrastructure projects,” Li said, “with the aim of increasing the length of high-speed railways in service to 30,000 kilometers and linking more than 80% of the big cities in China with high-speed railways, building or upgrading around 30,000 kilometers of expressways, and achieving full coverage of access to broadband networks in both urban and rural areas.” China will also continue to enhance its role as the primary exporter of high-speed rail, open new economic cooperation corridors and maritime hubs, create an internal logistics network, and intensify cross-border cooperation. A new concept unveiled, or rather, newly conceptualized, is the concept of industrial capacity-sharing. This builds on China’s current program in building a high-speed transportation grid of connectivity along the Belt and Road. 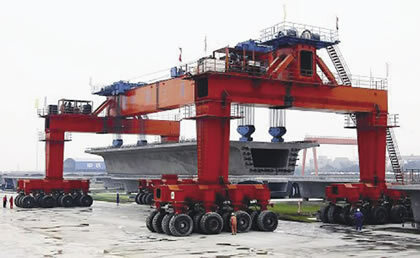 In addition to creating such “connectivity” with its neighbors to the west in central Asia and to the south in Southeast and south Asia, China will also “share” its industrial capacity, in order to create new industrial capacity in the countries along the Belt and Road. Researcher Zhibo Qiu explained this concept in the Jamestown Foundation’s China Brief on Sept. 16, 2015, citing Chinese government sources. She wrote, “China is on track to become a net exporter of capital by the end of this year, following a larger shift from exporting low-to-medium-end manufacturing products to exporting high-end manufacturing supply chains and infrastructure development models. China’s Foreign Minister Wang Yi said over 30 countries have signed agreements with China to build the Belt and Road. Although it “is China’s idea,” he said, “its opportunities belong to the world.” Here a signing ceremony for an Indonesia-China joint venture for high-speed rail from Jakarta to Bandung. From left to right: Director General of Railways of Indonesia’s Transportation Ministry, Herman Dwiatmoki, Indonesian Minister of Transportation Ignasius Jonan, and Hanggoro Budi Wiryawan, president director of KCIC, the joint venture. The importance of President Xi’s initiative of the “Belt and Road,” the Silk Road Economic Belt, and the 21st Century Maritime Silk Road, was further underlined as a major foreign policy objective at Foreign Minister Wang Yi’s press conference on March 7. “Today over 70 nations and international organizations have expressed interest and over 30 countries have signed agreements with us to build the Belt and Road,” Wang Yi said. “The Belt and Road Initiative is China’s idea, but its opportunities belong to the world. This initiative echoes the general call of Asian and European countries for development and cooperation. It shows that China is transitioning rapidly from a participant in the international system to a provider of public goods. In building the Belt and Road, we follow the principle of wide consultation, joint contribution and shared benefit. It is an open initiative, not . . . expansionism. What it unfolds before the world will be a new historical painting of shared development and prosperity on the entire Eurasian continent.” Wang Yi noted that work is already proceeding on the Budapest-Belgrade Railway and the Jakarta-Bandung High-speed Railway. And important steps have been taken in the China-Laos Railway and China-Thailand Railway, both parts of the Pan-Asia Railway Network. With the expansion of the economy and the lack of a comprehensive commercial banking system, much of the funding of small- and medium-sized enterprises (SMEs) in China has been forced into the realm of “shadow banking,” including the burgeoning Internet banking, which has lacked all forms of regulation. This is particularly important for China today in that much of the “innovation” needed in the Chinese economy will come from the SMEs. China has long viewed the German industry’s Mittelstand as a model for this type of innovation economy, but has lacked the means for financing it. The large state-owned banks which have dominated in the Chinese financial system have preferred lending to the larger industries, feeling that their investments there were more secure. Now China is intent on creating a functioning system of commercial banks which are subject to strict financial regulation. Banking Regulatory Commission head Shang Fulin outlined the principles required for the functioning of such banks. • First, the loans must be beneficial to the development of the real economy. • Secondly, they must be aimed at lowering financial risks. • And thirdly, the loans must be beneficial to the rights of the investor as well as the creditor. Problems in China’s financial system have been grossly exaggerated in the lying trans-Atlantic press. Indeed, foreign intervention from London by such as George Soros, and speculation on housing shortages in major cities have led to problems, although it must be underlined that these have no resemblance to those in the trans-Atlantic financial system which is blowing out. There is housing speculation, but there are no housing-backed derivatives, for example, like those which blew out the Wall Street system in 2007-2008. To address the problems which do exist, a number of regulatory plans, some wise and others questionable, were under discussion during the NPC. 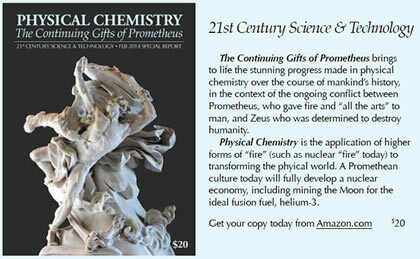 The crucial role of science and technology was heavily emphasized at the NPC. The government will increase the budget for R&D. 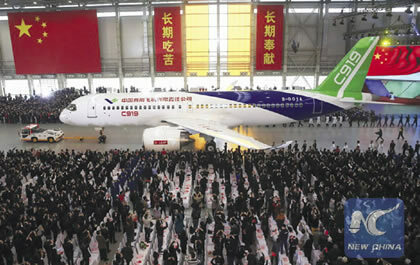 Here the C919, China’s first domestically produced large passenger aircraft at a plant near Shanghai. • The advances made in space exploration. China’s Space Center has mapped out a 15-year space science strategy, as a contribution to humankind. 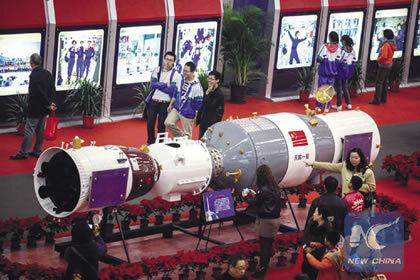 Here a model of the Shenzhou-10 manned spacecraft docked with the Tiangong-1 space module, during a 2013 exhibit for the public. According to Wu Ji, a 15-year space science strategy has been mapped out by the Center, which will tackle questions such as the formation and evolution of the universe, extra-terrestrial intelligence, extra-solar planets, and other questions. What Wu Ji didn’t mention, but what is absolutely revolutionary, is the planned landing of the first-ever probe on the far side of the Moon in 2018. This will be a major breakthrough for all mankind. While the issues of fundamental space science are absolutely critical for deepening our understanding of our own Earth, our Galaxy, and the galaxies around it, the element which most captures the popular imagination is manned space exploration. Liu Yang, China’s first woman astronaut (photo page four) and a delegate from the People’s Liberation Army to the Congress, therefore attracted a great deal of attention from reporters and delegates and gave a number of widely circulated interviews. Ye Peijian, Chief Designer of China’s Lunar Exploration Program, hopes that China will be able to carry out a successful mission to Mars by 2021, the 100th anniversary of the founding of the Communist Party of China. Schiller Institute 30th Anniversary Conference, Frankfurt, Germany, October 18-19, 2014: The New Silk Road and China's Lunar Program: Mankind Is the Only Creative Species!